Dr. Joel Curé is a radiologist located Birmingham, Alabama that works with several hospitals in this area including University of Alabama Hospital. He got his medical degree from University of Massachusetts and did an internship at Berkshire Medical Center. 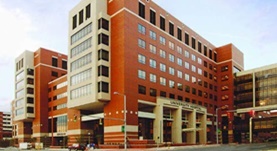 He then went to Dartmouth-Hitchcock Medical Center where he completed his residency. A fellowship at Strong Memorial Hospital followed soon after his residency. Dr. Joel Curé is board certified in radiology and has over 20 years of experience. Dr. Joel Cure has contributed to 3 publications. Persistent fetal intracranial arteries: a comprehensive review of anatomical and clinical significance. Tubbs, R. S., Verma, K., Riech, S., Mortazavi, M. M., Shoja, M. M., Loukas, M., Curé, J. K., Zurada, A., Cohen-Gadol, A. A.; J Neurosurg. 2011 Apr. Petrous apex lesions: pictorial review. Chapman, P. R., Shah, R., Curé, J. K., Bag, A. K.; AJR Am J Roentgenol. 2011 Mar. Imaging of petrous apex lesions: self-assessment module. Bag, A. K., Shah, R., Chapman, P. R., Curé, J. K.; AJR Am J Roentgenol. 2011 Mar.